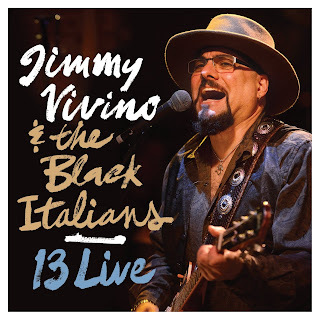 I just received the new release, 13 Live, from Jimmy Vivino and the Black Italians and it's really strong. Opening with Fat Man, a new Orleans influenced blues track, Vivino and crew (Catherine Russell (vocals), Felix Cabrera (harp and vocals), Danny Louis ( Keys, trombone, and drums), Mike Merritt (bass), James Wormworth (drums), Mike Jacobson (conga, bass drum, percussion), Fred Walcott (timbales and percussion) and Justin Gulp drums) really lay down a nice groove. Of particular note are cool slide parts by Vivino, harp by Cabrera and piano by Louis. Soulful Dress, along the lines of High Heeled Sneakers, spotlights Russell on lead vocals and Vivino riffs off on guitar in fine rock style. Russell has a great voice and Cabrera and Louis really hold their own on this track. From A Buick 6 is really written like an early Dylan track and I really like it. 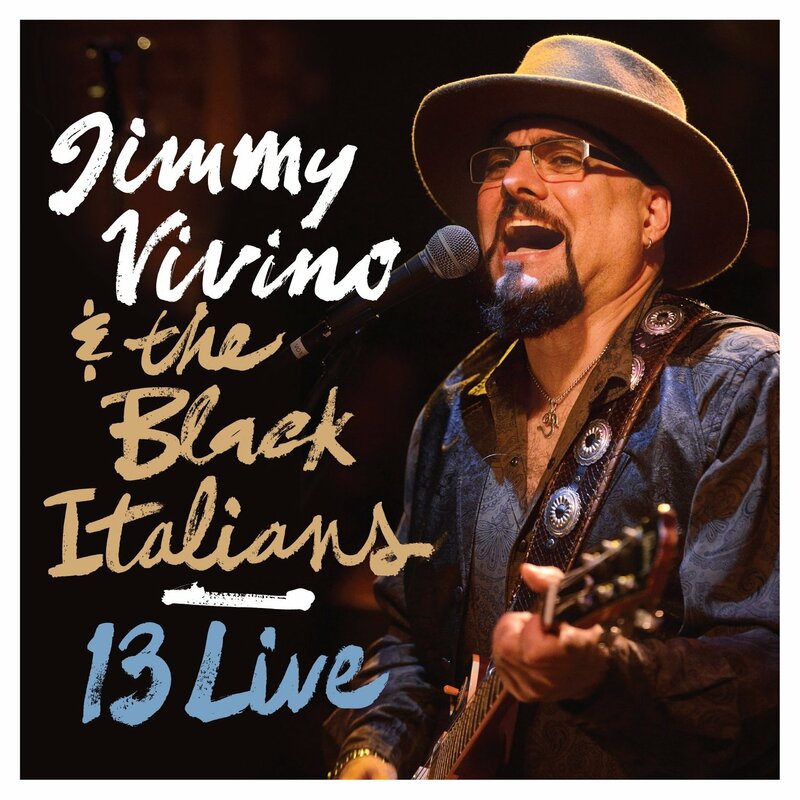 Ultimately Vivino plays a frenzied solo over great drum rhythms keeping the crown moving. Fast Life Rider has an intricate lead guitar intro actually reminding me quite a bit of early Dregs music. The snares kick in giving the track a particular marching beat and Vivino takes the lead singing and playing guitar in tandem melody. Nice effect. Playing a fairly long and interesting guitar solo along with Wormworth on drums, the band is smokin. The band settles down for a slow blues/soul style track, Fool's Gold, featuring Russell on lead vocal. This is a real strong track that could easily find a lot of airplay. Louis plays some particularly cool organ on this track supporting very strong vocal efforts. Not to let you down, Vivino steps up and really rips it loose on guitar and then winds back down in tandem with Louis. A rock n roll track a'la Chuck berry, Heaven In A Pontiac, is just what's needed to to kick the recording back into high gear. Cabrera plays a monster harp solo on this track and the percussion is really visible as well. Vivino steps up again and plays some hot Berryesque riffs that are really cool. Animalism, opened by a funky bass riff by Merritt, takes the sound again to another stop sounding a lot like the sound of the early Jeff Beck Group but with a lot more African influence. This is a great track like you might expect on one of the great Brazilian or African releases. Very good choice. Light Up Or Leave Me Alone, a song made popular by Traffic, is up next and the band creates a much more percussive feel but holds pretty true to the original. The addition of harp and irregular guitar attack on this track also sets it apart from the otherwise British track. 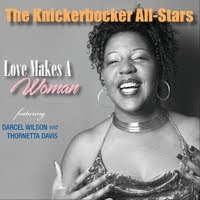 James Brown's What Do I Have To Do again features Russell and she's definitely up to the task of taking this JB track. Maintaining a fast paced JB's sound but with the addition of harp, this track really moves. I always like trombone on blues tracks and Louis does a great job of finite articulation on such a fast paced solo. Jump back! Yeah, Vivino steps up with a blistering solo on this track as well. This had to be a great show to see live. I reworked version of Dylan's Maggie's Farm is up next and it has a real gospel feel with a cha cha beat. Very cool thinking, making for a real danceable track with great vocals. This also gives the band a super opportunity to stretch out instrumentally. 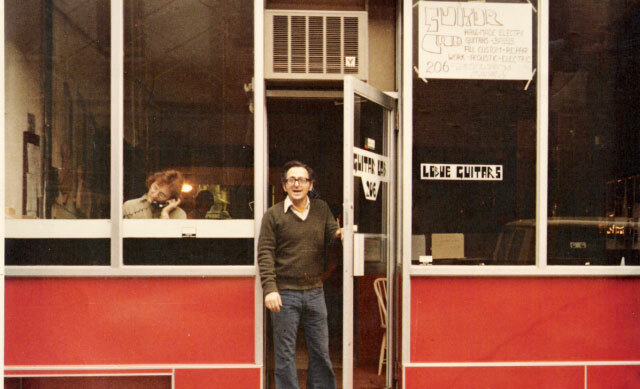 Song For Levon has the characteristics of a Randy Newman track. 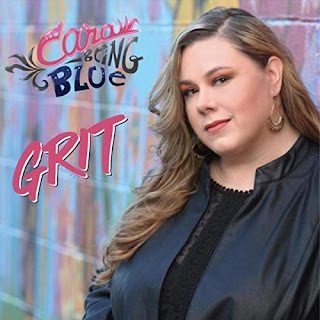 It is very well written and melodic... primarily vocal and keys. It is surprisingly very strong. The release wraps with an old Band track, Shape I'm In. I've always liked the Band and this is a great track. Vivino hasn't altered the bacic arrangement much but with overlayed vocals and different instrumental mix this track is very fresh. This is a really nice outing for Vivino who spends a lot of his time as band leader on Conan O'Briens show. It is a lot of fun and musically quite entertaining.